Filled hot-melt adhesive specially formulated for automatic edgebanding equipment such as HOMAG, STEFANI, EGURKO BARBERAN, OLIMPIC and others, suitable to bond solid wood, chipboard, HDF board, MDF, or other fine-grained wood-based materials with different kinds of edge: solid wood, veneer, primed thermoplastic (PVC, ABS, PP) and resinated paper. 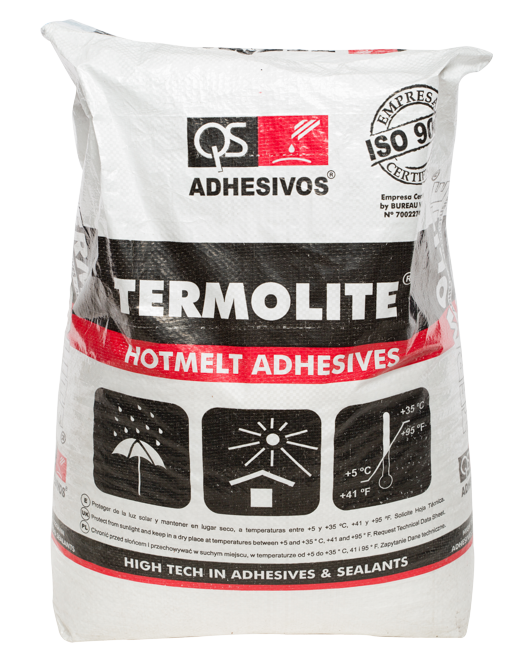 TERMOLITE TE-80 is suitable for edge thickness up to 2 mm. (Depending on shape memory of materials used).